After some not-so-subtle hints, the new Kendrick Lamar album finally gets a release date. 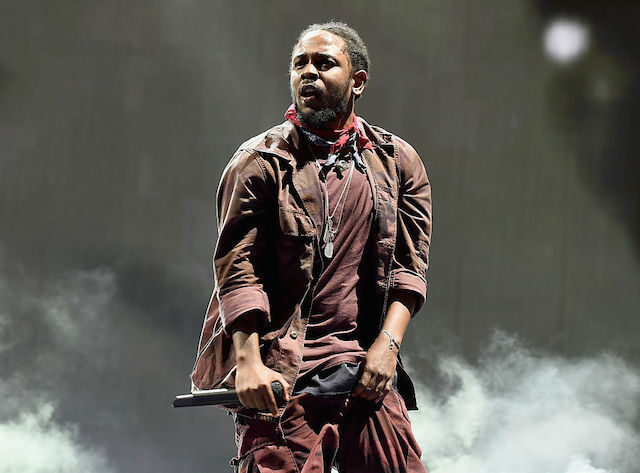 As reported at the L.A. Times, the album will drop on April 14, about the same time that he&apos;s expected to take the stage at Coachella (he&apos;s performing on April 16 and April 23). The album has cropped up for pre-order on iTunes. Still, even with the imminent release, the details are sparse. On iTunes, "ALBUM" is being used as a place-holder in lieu of an actual album title (unless "ALBUM" really is the title, which would be uncharacteristically lame of Lamar). The track titles are also missing, aside from "Humble," which was released last week. Curiously, another song that was recently released—"The Heart Part 4"—was not named in the iTunes track listing. That track had actually led some fans to believe that the album was set to land on Friday, as it contained the lyric, "Y&apos;all got till April the 7th to get ya&apos;ll s—t together," according to Fader. To whet your appetite, check out the video for "Humble," which includes a shot of Lamar whacking golf balls into the L.A. River. Maybe Frank Gehry can fit in a driving range into his plans for the river?